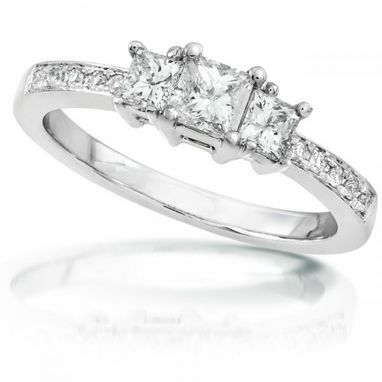 Get down on one knee and propose with this brilliant preset three stone diamond engagement ring. 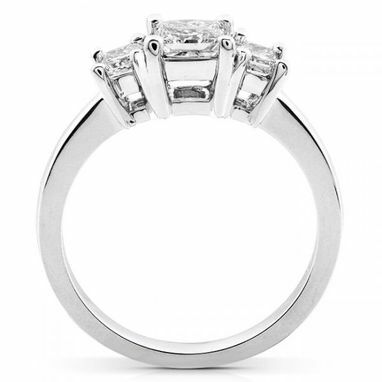 Featuring three princess cut diamonds that are prong set in 14k White Gold, this ring will make her dreams come true. 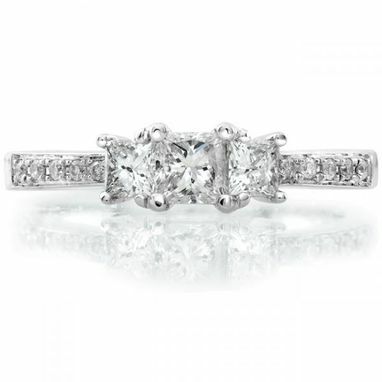 Additional round cut diamonds are pave set on the band for added shine and beauty. 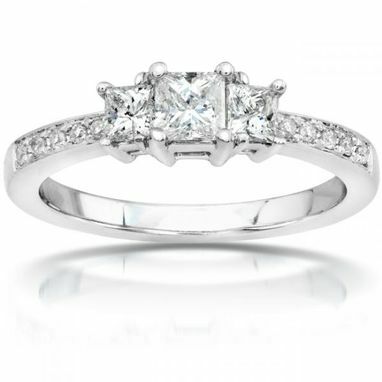 All diamonds are conflict free and weigh a total of 1.00 carats.